South Africa celebrated International Day of People with Disability on the 3rd of December, which also marks the beginning of the Disability Awareness Month. 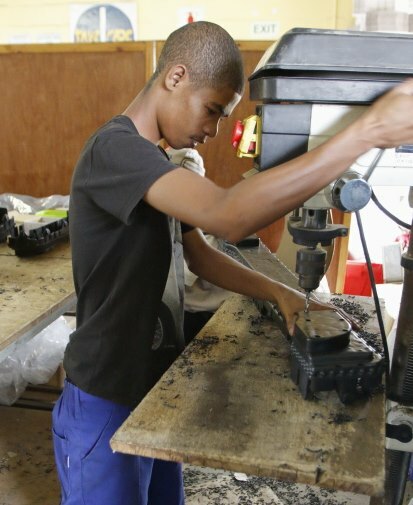 In honour of this, here is a short write-up of our recent visit to the Orion Organisation, who works closely with our partner Kaytech, to uplift the people with disabilities in the Atlantis area. Having a job, despite the usual Monday morning complaints, is something most of us take for granted. 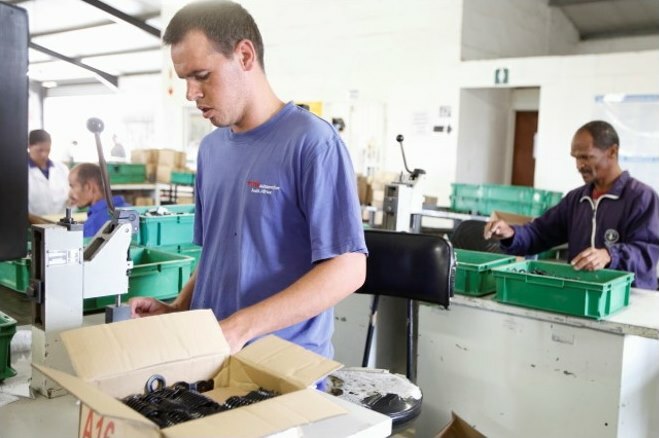 It’s easy to overlook the crucial role employment can play in fostering independence, self-esteem and social integration – especially for people with disabilities, like those working at the Orion Organisation in the Western Cape. For these folks, being provided the opportunity to work has opened up a world of opportunity. Founded in 1982, the Orion Organisation focuses on caring and providing for the educational, training and therapeutic needs of children, youth and adults living in the Atlantis area with physical, mental, intellectual and neurological disabilities. The Organisation is committed to developing people with disabilities, and therefore provide employment embedded with opportunities for training, skill development and self-growth. Their caring for and skills development of people with disabilities is facilitated through a variety of care facilities and structured programmes that encourage and develop each person to the best of their individual abilities. One of the notable partnerships Orion holds is with Kaytech, a geotextile manufacturing company and key PETCO partner. Kaytech manufactures various geotextile products, including Bidim, which is made of 100 per cent recycled PET (rPET) from post-consumer cooldrink bottles. Bidim is an industrial product used in various applications from erosion control against tidal action, to separation in railway applications, to subsoil drainage in roads and homes. This partnership sees the people of Orion folding and packaging the Bidim for Kaytech’s final distribution to customers. Hannl Cronje, CEO of Orion Organisation, says they are extremely proud of the work the partnership produces. PETCO applauds Kaytech and Orion for this meaningful partnership, which tangibly demonstrates the far-reaching benefits of recycling – not only for the environment, but also towards social and economic upliftment. Read more about the Orion Organisation or get involved here.